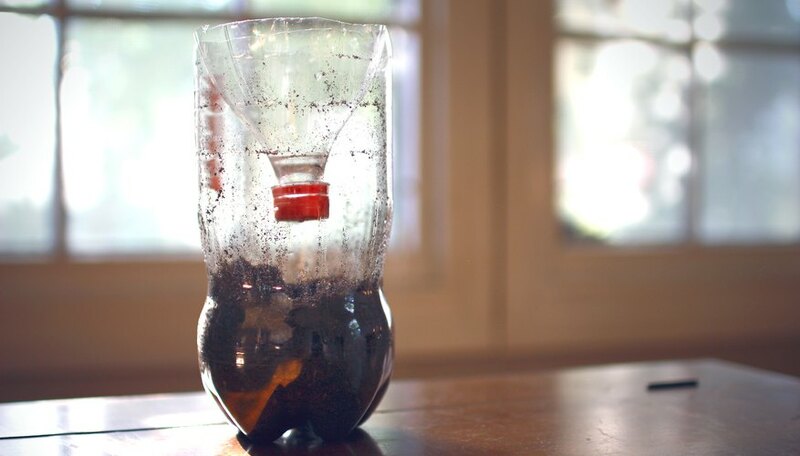 Making an ecosystem in a bottle is a science experiment that allows you to study the delicate balance of nature and how an ecosystem thrives or fails. It shrinks the scope of nature down to a small area and makes it easier to observe. Bottle ecosystems are also called terrariums, and some can survive for many years. They include plants, dirt, and moisture--the basic necessities for life to survive--inside the bottle. 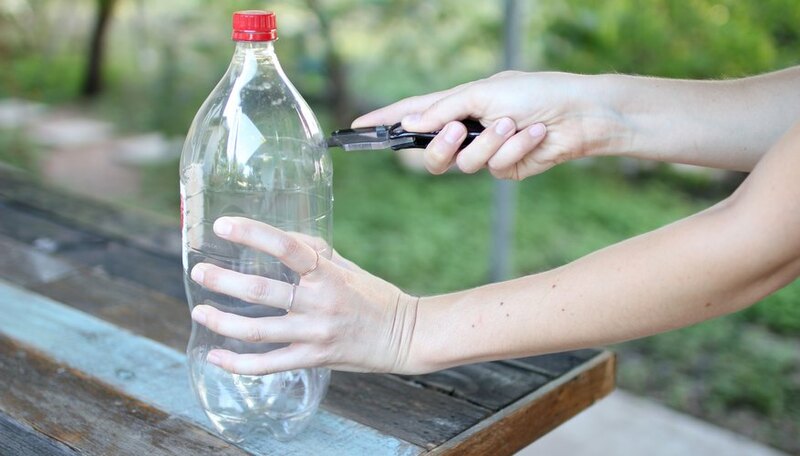 Rinse out a large clear-plastic soda bottle and peel the label off. Cut off the top of the bottle right before the neck starts to taper toward the cap. Save the top and the cap to use on the completed ecosystem. 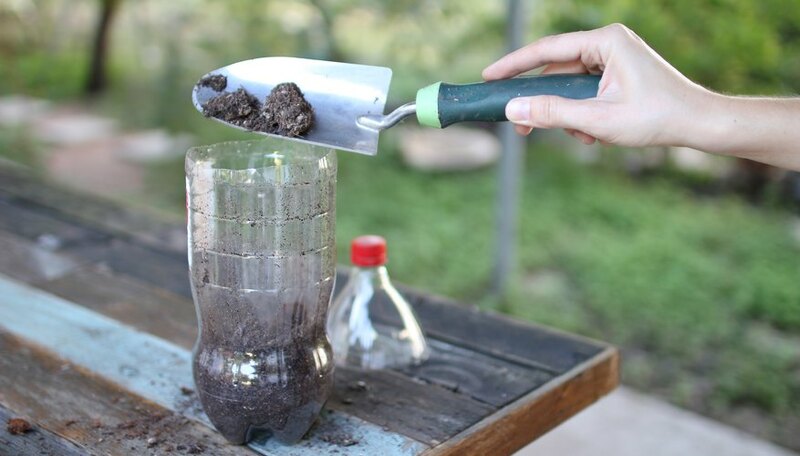 Place 3 to 4 inches of potting soil in the bottom of the bottle. 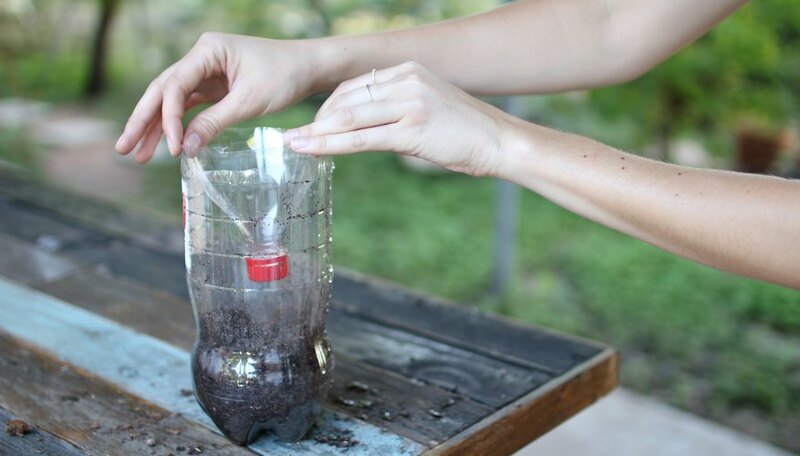 Lightly tap the bottom of the bottle so the soil settles, but do not pack it in. Plant seeds in the soil. Plant 4 to 6 bean seeds 1 inch deep, close to the sides of the bottle, or select another kind of seed and plant to the depth indicated on the seed packet. Beans are a hardy seed which will grow easily. Sprinkle 2 pinches of grass seed on top of the soil and lightly cover them with the dirt. 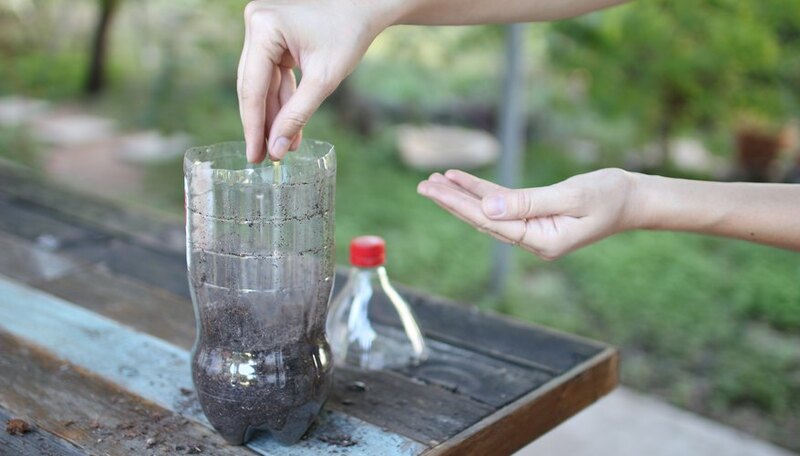 Sprinkle water onto the soil until it is damp all the way to the bottom but not soaking wet. Screw the cap onto the cut-off top of the bottle. Place it upside down into the opening and seal the edges with clear tape. Place in a warm, partly sunny spot. The ecosystem will not require watering again. 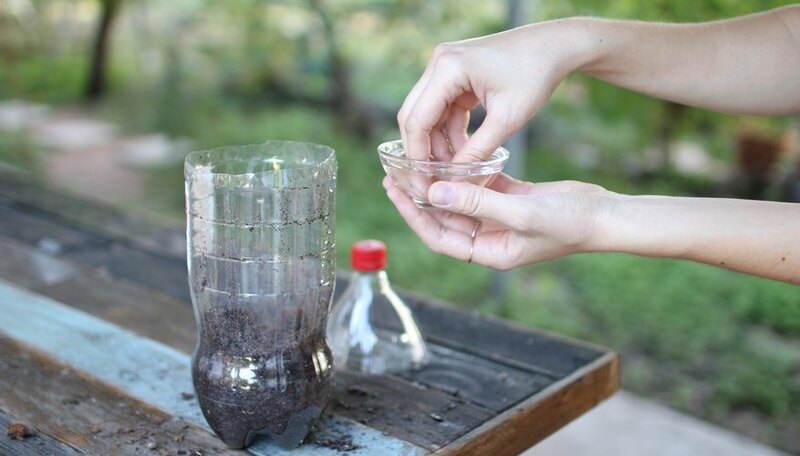 Place a snail or a worm into your ecosystem to see how it affects plant survival. You can use a jar with a lid instead of a soda bottle. You can start with seedlings instead of seeds. 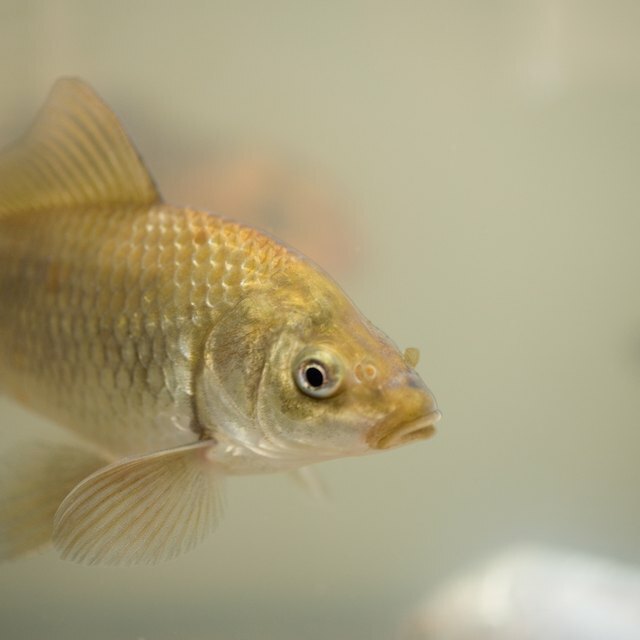 Keep a daily log of what occurs in the ecosystem. Harrington, Jenny. 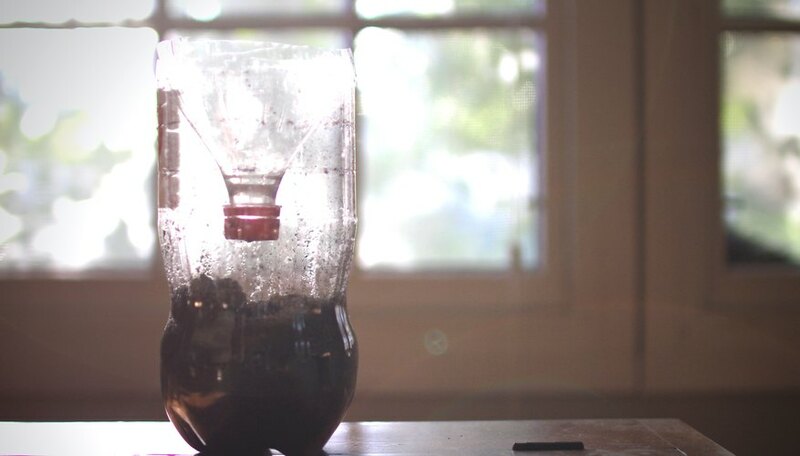 "How to Make an Ecosystem in a Bottle." Sciencing, https://sciencing.com/make-ecosystem-bottle-5164713.html. 24 April 2017.